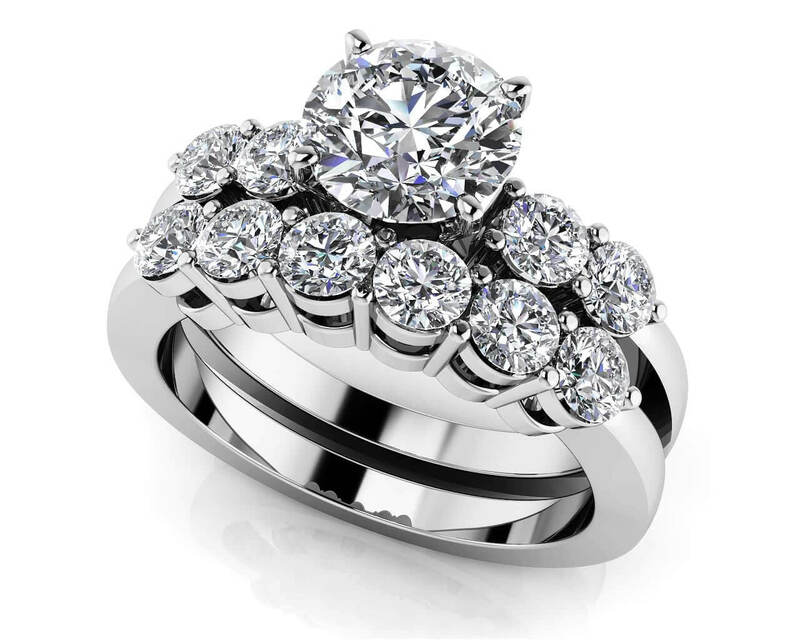 This lovely ring is available in two sizes, either the half a carat total diamond weight or almost a full carat total diamond weight. 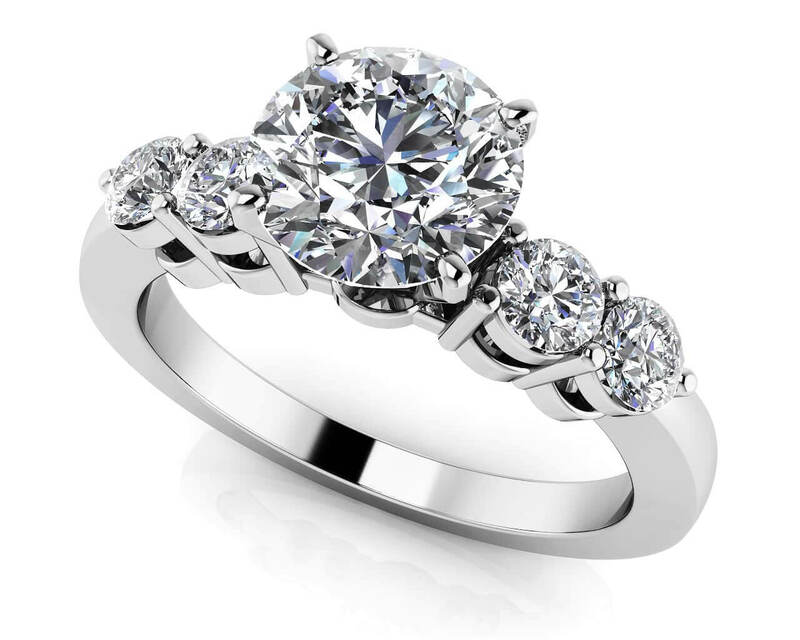 It will sparkle and shine from all angles, thanks to the lovely row of 6 incredible stones, each one carefully prong-set. What a wonderful band to celebrate your marriage or an anniversary! 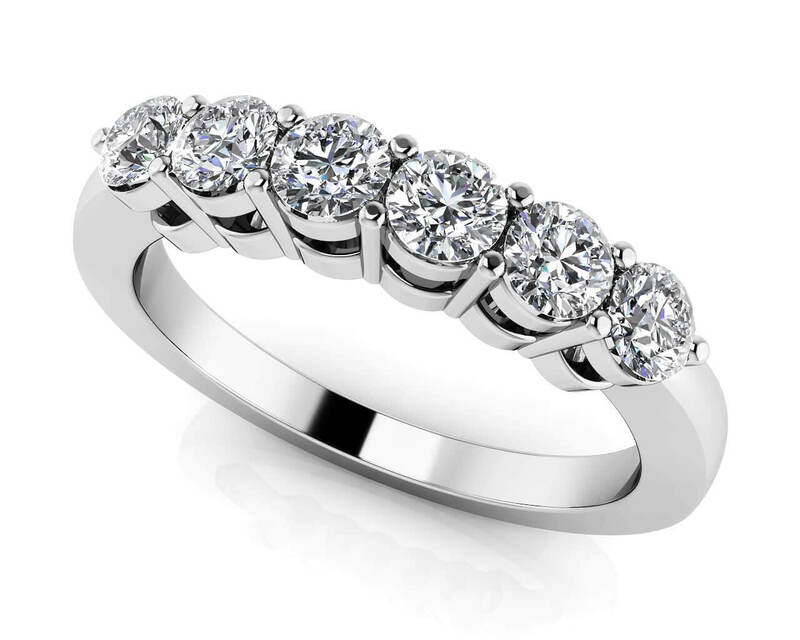 As a wedding band, it sits perfectly alongside many of our fabulous engagement rings, but it certainly has the personality and character to stand on its own also! Stone Carat Weight: 6X.105 ct.